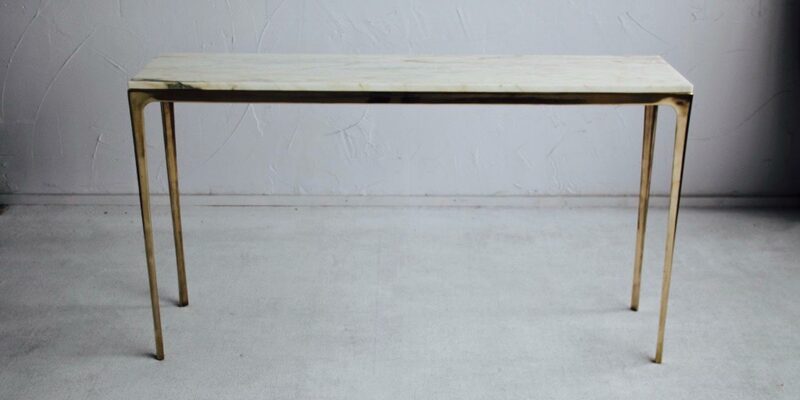 BRONZE square table comprises of a solid hand cast bronze base, fusing classical aesthetics with ancient material and contemporary technology. The Bronze ‘lightweight’ has a 38mm section perimeter rail. 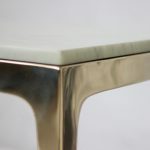 The solid cast bronze base can be finished in a satin rub or hand polished to bring up a full lustre mirror finish, that will slowly gain patina over time. However, occasional buffing will maintain its shine. 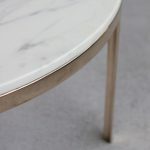 The top comes in either solid timber, glass or natural stone.